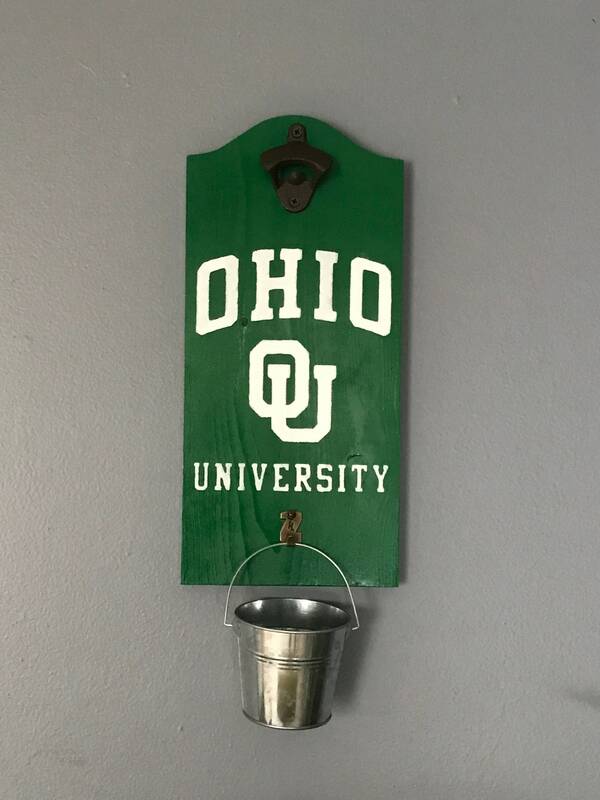 Ohio University Bottle Opener with Cap Catcher is handmade and hand painted. Cast iron bottle opener fastened on front along with a cool little gallery hook to hold the cap pail. 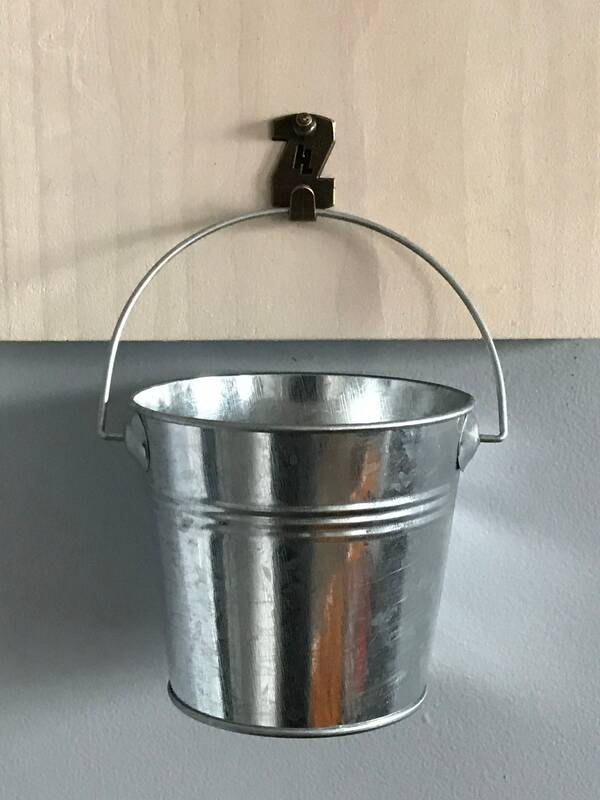 Cap pail included.